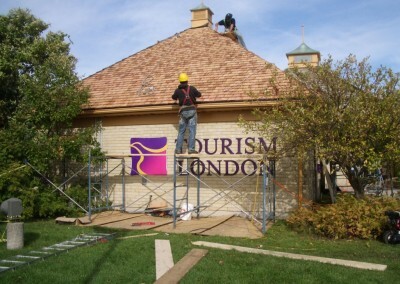 NA Engineering Associates Inc. was originally retained in 2010 by the City of London to conduct a visual roof system assessment at the Tourist Information Centre. 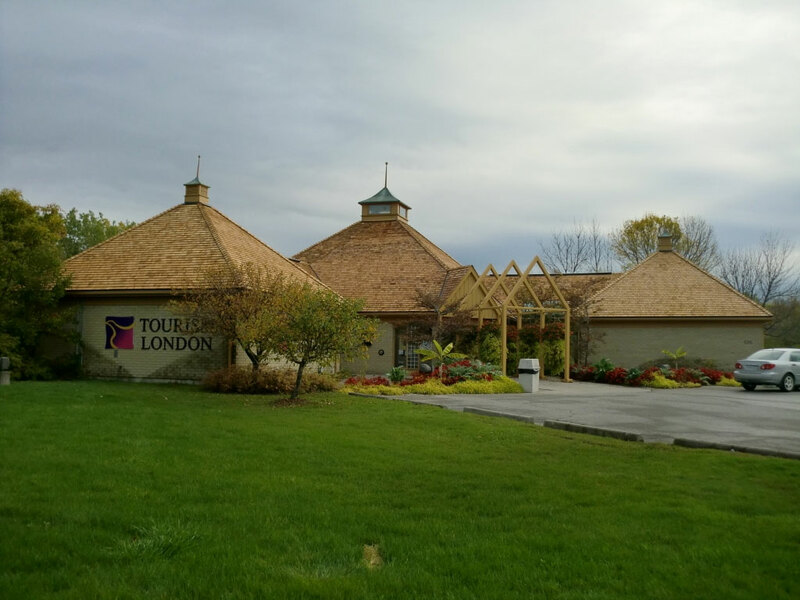 The Tourism London building is a prominent building set on a well landscaped, treed site intended to provide a warm welcome for visitors to the Forest City. 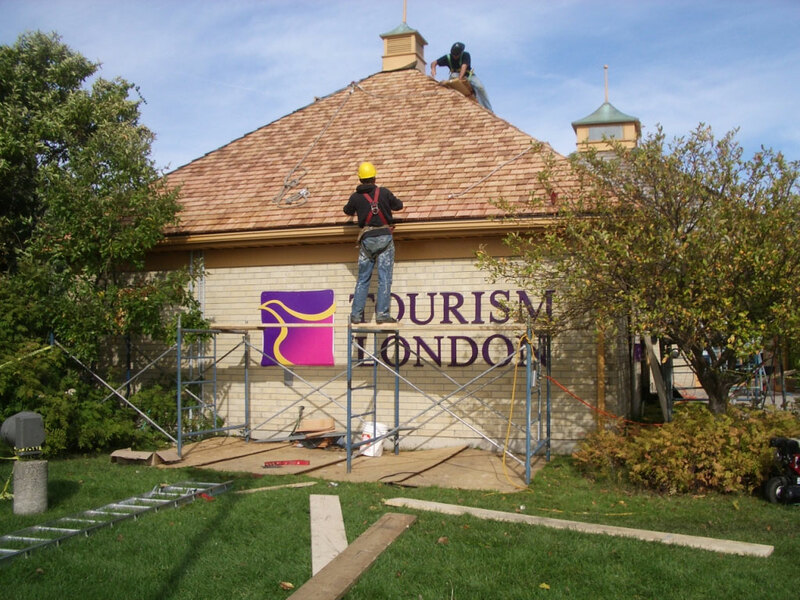 The existing Woodruf shingles installed in 1988 were found to be in poor condition with noticeable deterioration. The existing roof had met its life expectancy and the report provided options for replacement. Once funds had been allocated for replacement, NA Engineering Associates Inc. prepared the specifications and tender documents for the roof replacement. 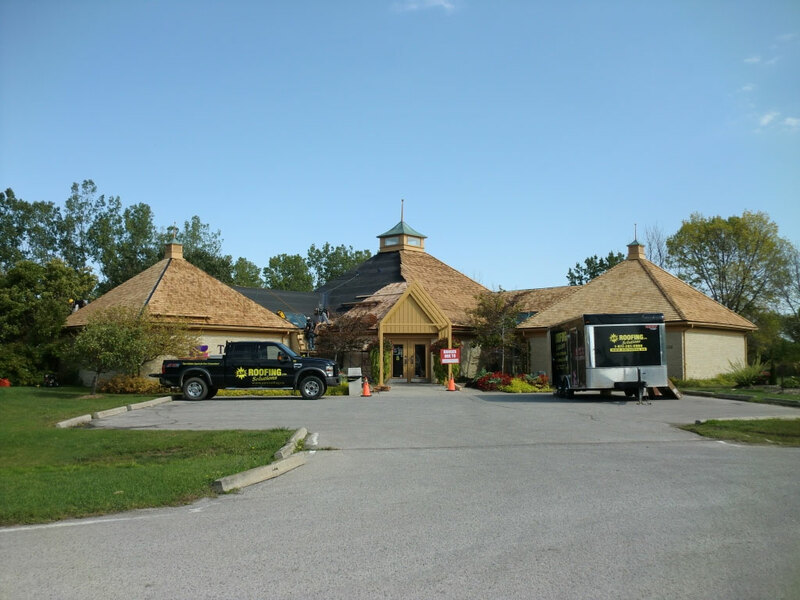 A cedar shake roof system was installed along with the replacement of the 4 existing skylights.